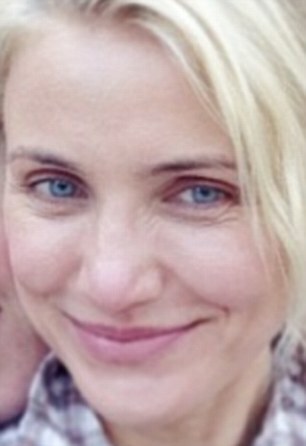 While most actresses dread their fourth decade, Cameron Diaz had an incredible reaction to turning 40. It would’ve been so easy for Cameron to go the way of other stunning movie stars; under the knife, straight to the nearest filler specialist and heavy on the Botox. But after a brush with Hollywood’s favourite face freezer left the Something About Mary feeling disengaged with her own face; the blonde beauty – still one of the highest paid actresses in Hollywood – made the tough decision to allow herself to age naturally. And on Sunday, Cameron – who landed a $40M paycheck for 2011’s Bad Teacher, which is way above the standard for leading ladies and twice what a male contemporary like Leo DiCaprio can command – opened up to Oprah Winfrey about taking a stand against ageism in society. She said that it is ‘crazy’ how women are under pressure to look like they are 25 even when they are more mature. She said that women ‘don’t give ourselves permission to age gracefully’ and that they are constantly told they have to ‘defy nature’. Diaz herself has in the past fallen victim to the guilt she describes and has had Botox which she regrets as it changed her face in a ‘weird way’. She had a nose job after breaking it four times and has spoken about her battle with acne, revealing that she tried everything from makeup to medication to make it go away. Diaz said: ‘For me I feel like if I – it is almost as if we have failed if we don’t remain 25 for the rest of our lives. 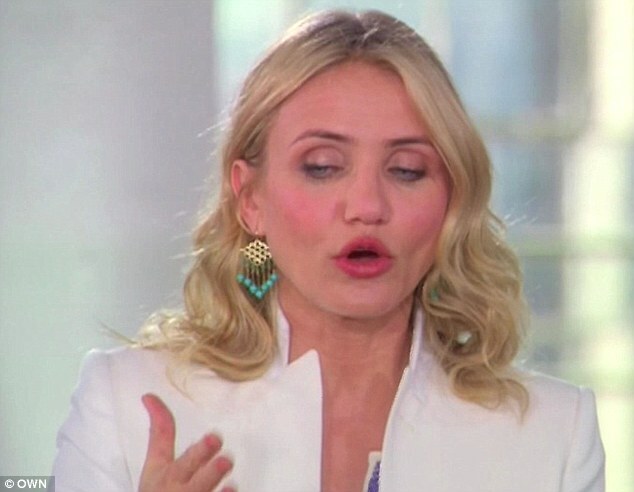 Arguably, it;s Cameron’s determination to grow into her own face that’s ensured she’s stayed at the top of the Hollywood casting tree, certainly her lucrative Bad Teacher role relied on her ability to mug it up in a way the Botox queens just can’t. Her latest role, as Miss Hannigan in the remake of Annie alongside Jamie Foxx and with Quvenzhané Wallis as the titular star, involves similar comedy. Diaz agreed with Winfrey that everyone’s trying to be ‘back there,’ in the past. Diaz, who has just released her lifestyle guide The Body Book, gave the interview weeks after Sharon Stone spoke out about how she ‘wanted to die’ when she put on weight in her 20s. The Basic Instinct star, 55, said that she cried uncontrollably after being taunted by men who wolf whistled at her curves and larger breasts.